Does it bother you when someone tells you that you look good “for your age” …? It’s never bothered me that much, but a recent survey came out that shows that most women would rather not have a compliment at all, rather than have “for your age” tacked to the end of one. I think it’s a good place to start discussing how we talk about aging in our culture! This post was sponsored by RoC skincare. I agreed to do it because I wanted to get my readers’ opinion about the language we use to discuss aging. Also, I respect that RoC doesn’t promise miracles for a fortune, but rather just healthy sensible skincare that leaves skin brighter and smoother. RoC invited bloggers to share a personal story about the way we discuss aging and this is the memory I thought of immediately. 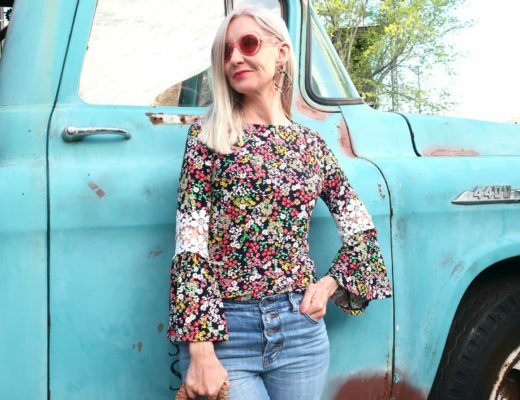 When I first started blogging, I said in a post that I didn’t want to “look like a grandma.” To be honest, I never thought twice about saying this. When a reader commented “what’s wrong with being a grandma and what’s a grandma look like anyway?” I was flabbergasted. At first, I felt attacked, like they were being too sensitive. Oh come on, we all know what I meant … we all have a stereotypical grandma visual in our heads, right? But then I realized, hey that’s exactly the issue … a stereotypical view. It made me see things differently and I’ve never used that expression again. About a month ago, karma came around in a funny way. One of my students said he liked me so much that he wished I was his grandma! I wasn’t thrilled at first, but then I decided to just take it as a compliment! Recently I did a post for holiday dresses aimed at midlife women. Is that wrong? I honestly don’t know. I guess instead of saying “over 40” I could say “classy and trendy” … or “figure flattering” … but then will my readers online find me from that? I certainly make a point of saying in my post that women should wear whatever they want and feel good in! When it comes to using the best language to discuss aging, I’m still trying to find my way too. I’m also still trying to find my peace with the changing reflection in the mirror. As we age, skincare becomes more important to most of us. If we haven’t started when we were younger, now we definitely think about taking care of our skin with quality products. If you’re not familiar with RoC, let me give you a little introduction. RoC was developed in 1957 by a French doctor, Dr. Jean-Charles Lissarrague. The name was given as a nod to the Parisian pharmacy, Rose Cavailles where he started experimenting with skincare products. The brand was the first to stabilize retinol in an over the counter products, the first to develop hypoallergenic products, as well as the first SPF sunscreen. Every product is scientifically-tested and clinically proven to produce brighter, smoother, healthier skin. 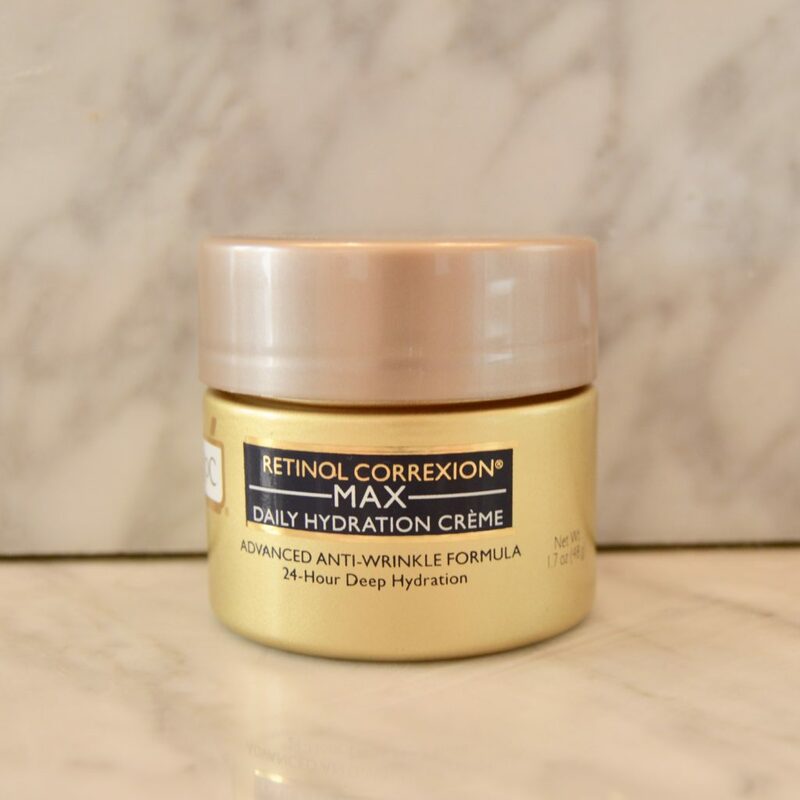 I’ve been using this Retinol Correxion Max Daily Hydrating Creme for about a week now. It feels super nice on my skin. Though I need moisture, I also worry about clogged pores when I use creams, but this cream is oil-free and non-comedogenic. 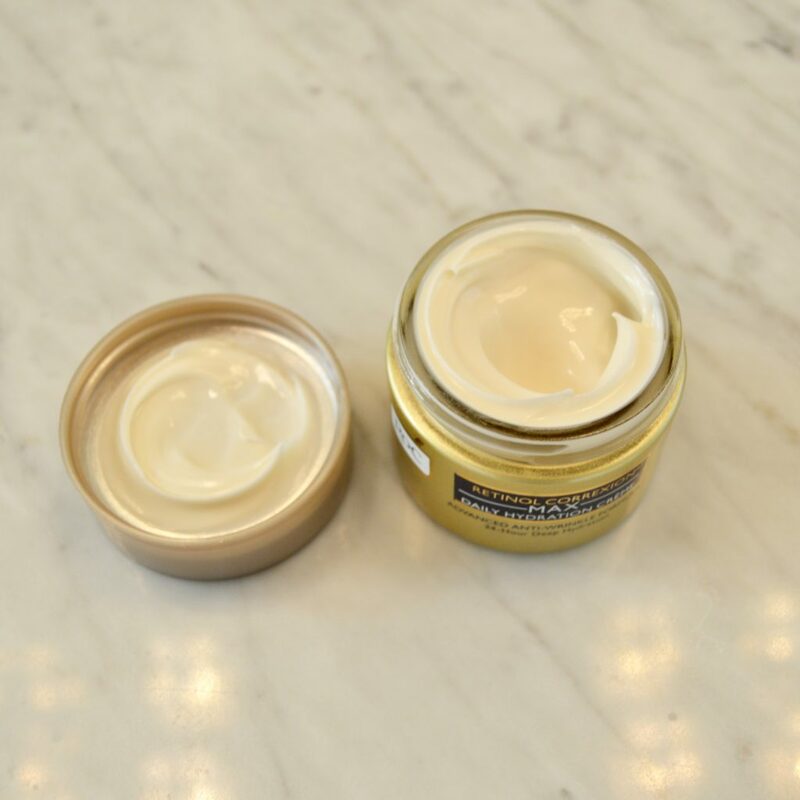 With the maximum level of retinol and 24 hour hydrating, the cream will reduce fine lines and dark spots. So far, so good … my skin is looking pretty! 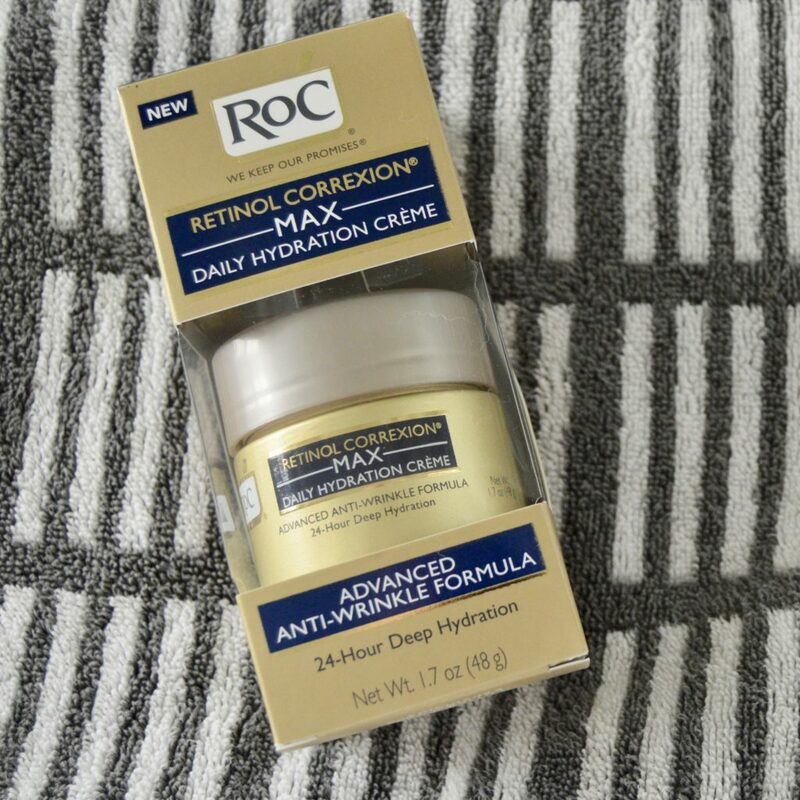 The new RoC Retinol Correxion Max Daily Hydrating Creme is available now. I’m so proud to be a part of this generation of women talking about aging in a new way. Did you know that Thandie Newton (of Westworld fame) is also working with RoC to discuss how women feel about aging in our culture? Life can be a glorious adventure in every decade. 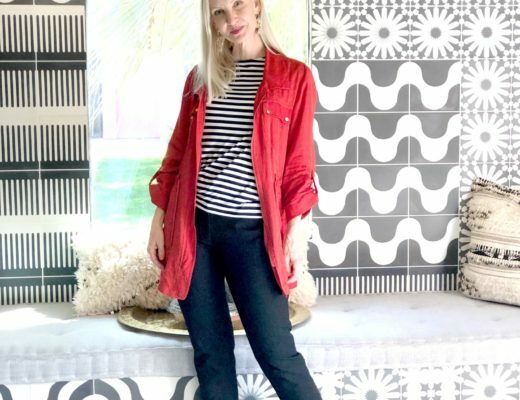 Personally, I found true love in my 40’s and started my passion project (this blog!) in my late 40’s. 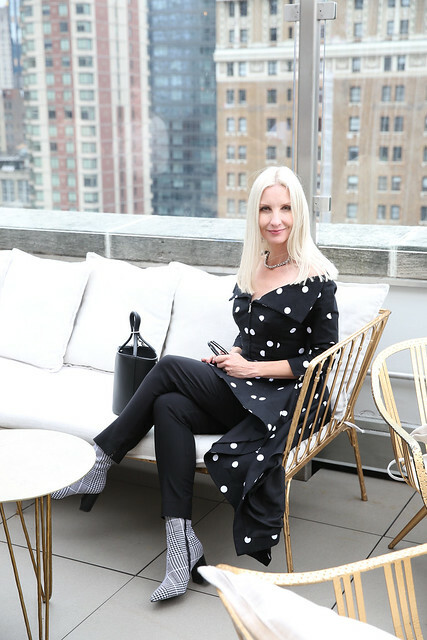 At 50 I had a life long dream come true, a trip to New York Fashion Week! A woman can be anything regardless of her age. Let’s change some language and get the conversation going! I can’t wait to read your comments! Learn more about RoC Skincare. I love that you’re bring up this topic as well. How we refer to a person’s age can make a difference in so many ways — but it is tricky! I think what offends me most is the “anti” part of the term “anti-aging.” Anything that makes me feel guilty and ashamed of the aging process misses the point and is counterproductive — because all of us are going to “age” no matter what. It’s hard enough — when we reach our elder years — to face various health problems and changes in our bodies. When we work to take better care of ourselves or improve the quality of our lives, that isn’t an “anti-aging” attempt. We’re really working toward feeling healthy and being the best we can be. I think that applies to how we use cosmetics and other beauty products. If we enhance the skin we have and take care of it, we’re going to look and feel our best. I think there needs to be a shift in how we perceive aging and older people in general. If we started seeing the beauty and benefits of aging people, I think the words “senior” and “elder” and “older” would take on a more positive meaning. We need to start valuing and praising the wisdom and experience of mature people. Youth is overrated. Just the other day, my husband and I were watching the news and shaking our heads at all the terrible behavior that’s going on everywhere — in our country and around the world. While watching all this unfold, we were using phrases like, “He’s acting like a child!” or “What an immature person!” In other words, sometimes when you tell someone they’re acting childish or young for their age, it isn’t a compliment! 🙂 Older and wiser is a good thing. It’s so true that our words can be so powerful, and yet sometimes we say silly things!!! I’m trying ROC too, and it’ll be interesting to see how I like it!! Words are powerful! Thanks for stopping by, Jodie! Hello! and thank you very VERY much for addressing this issue of women and aging. I have felt so strongly about it, but never found anyone who wanted to talk about it. I’m glad I’m not the only one, so thank you, and here goes. Now that I am 50, I not only see how difficult it can be emotionally and physically, but I also see how discriminated against I feel. Think about it. Younger people are okay telling their older friends they look good “for their age”, right? Well that’s the same as saying, “you look good – even though you’re 50”. But would they tell the same friend she looks good “even though she’s white”, or “even though she’s overweight”? No way! Because that would be racist and discriminatory, and terribly offensive. So why is it okay to so flippantly disregard the feelings and self-image of an “older woman”? Even in this evolved day and age, society still thrives on its ability to get away with making a mockery of people who are older. I think that’s ridiculous, because it’s the one protected class every single human being will experience first hand. (…and only if they are lucky!) It sometimes feels like a “Mean Girl” society out there, because women “of a certain age” are suddenly booted out of the world of pop culture, fashion, and beauty. I was very pleased to see the diversity in the women who modeled the creations on this season’s Project Runway. 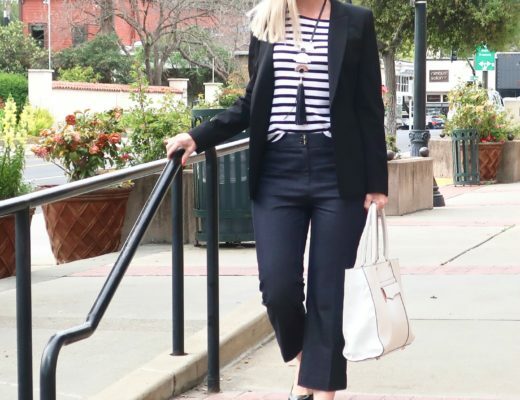 The fashion industry has taken a huge turn by using models who more-accurately reflect real life, and who look like a larger percentage of the people in the world, inside and out. 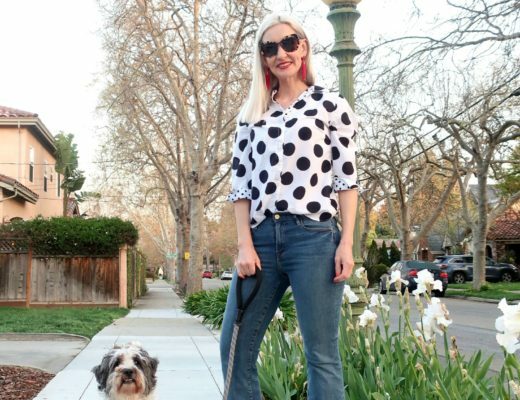 But one segment of society that is still sorely underrepresented in the fashion world is women over 50 (this is why I LOVE your blog so much!). My hope is that society is expanding its view of “beauty” even more to include all of us. Throughout time we have chipped away at the inconceivable discrimination practices that were based on race, religion, physical ability, national origin, and sexual orientation. But have we eradicated age discrimination? Now that I’m included in this so-called “protected class”, I feel we have not. Great Post! I just celebrated my 66th and still interested in some fashion that younger gals are wearing. I love to wear my ripped jeans and heels but do not like makeup. Now, I see that I need foundation to cover the dark spots from sun damage that really ages my face. Not the wrinkles that I am proud to wear. I have not yet experienced age discrimination, but my curvy size gets noticed in certain establishments. 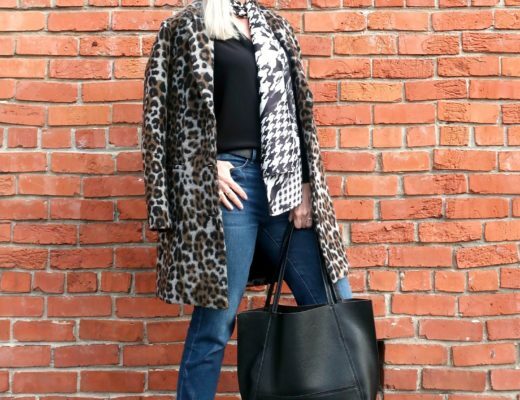 Love your style and your attitude Neti! Fabulous post Dawn! First, I love RoC products and respect so much that they’ve always been an innovator in skincare (hello, first to make Retinol available OTC!). I loved reading your thoughts bc age is such a hot topic. Women have it the toughest. I’ve found it also goes both ways – “for your age” is so innappropriate and so is telling a woman “you’re a baby!” in a professional setting. I’ve witnessed both. So here’s to a world where compliments don’t have qualifiers! I always hesitate in trying new creams as my skin is so sensitive! I understand that, Nancy. I always worry about my skin breaking out, but so far, so good with this one!! Thank you Dawn. A refreshing piece. I certainly say I write for midlife women and talk about the middle years. Maybe I shouldn’t. I’ll look for the cream. I’ve been wanting to try retinol for a while now.